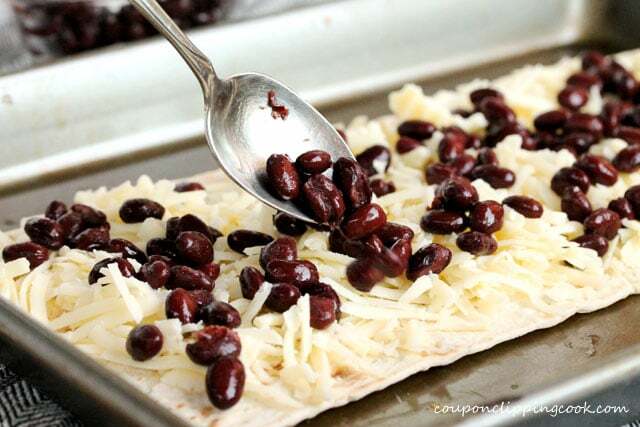 Have plans for that leftover turkey? Here’s just the thing! This recipe will give leftover turkey a face lift and no one will ever know. 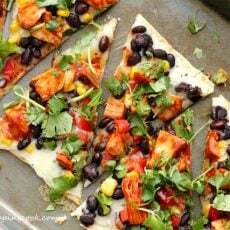 The thin flatbread gets nice and crispy when baked and the toppings have a delicious southwestern flare to them. 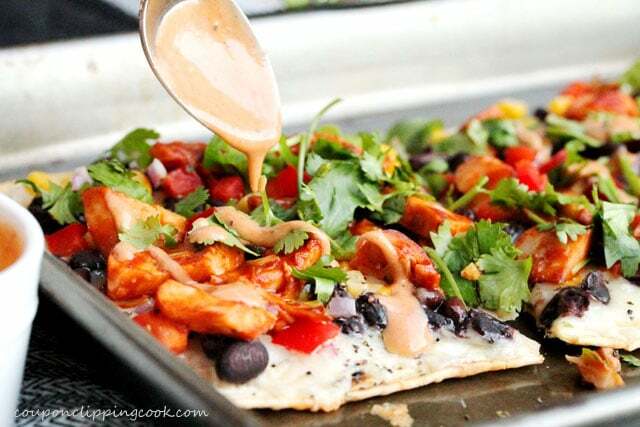 Once out of the oven this wonderful combination of flavors gets even better with fresh cilantro and drizzles of barbecue ranch sauce. So good. 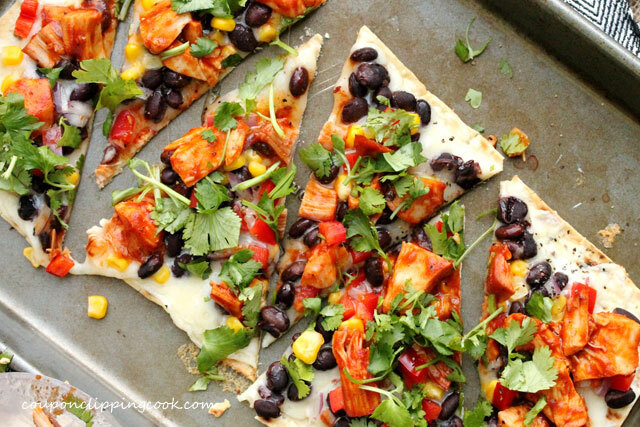 This pizza is made with a southwestern flare to it and I can’t help but think of a girlfriend of mine when I made it. She’s from Pennsylvania and was living in California for a while. Whenever we would go out to lunch together (in California) she would always say that everything in California has corn in it. The sound of her voice was so funny because it had the tone of being absolutely amazed and astonished. She would go on and on about how she couldn’t even order a salad without corn in it. It was so funny to me because I think she was a corn magnet. She was right, no matter where we would go to eat there was corn either in the recipe or as a garnish on the plate. It’s actually something I hadn’t noticed before but it made me laugh every time she said it because it was so true. I can still hear her voice saying that and I’m laughing at this very moment as I write this. You know I thought of her with every corn kernel I put on this pizza. The least I could have done was grill the corn before putting it on this pizza in honor of my friend. 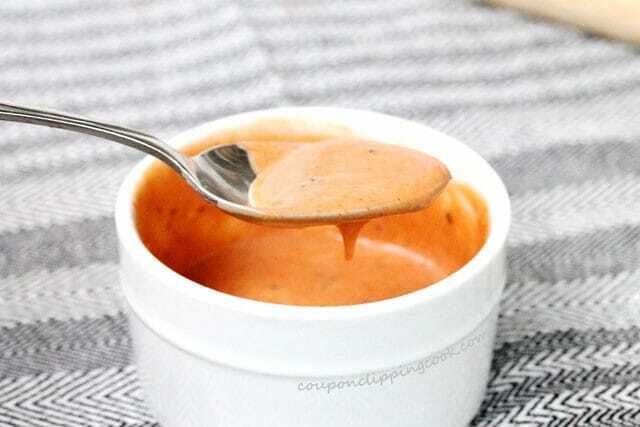 In a small bowl add the ranch dressing and bbq sauce. 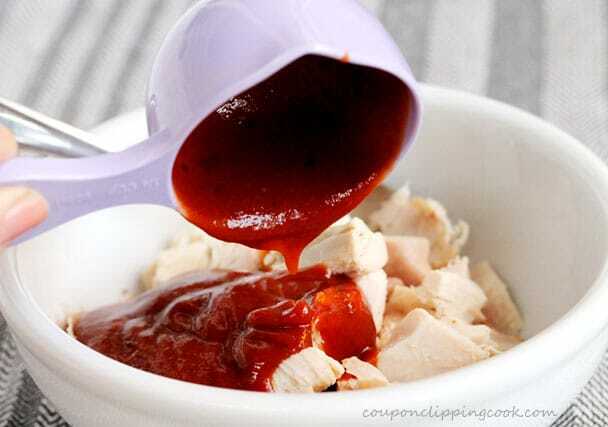 In a small bowl add the turkey and the bbq sauce. 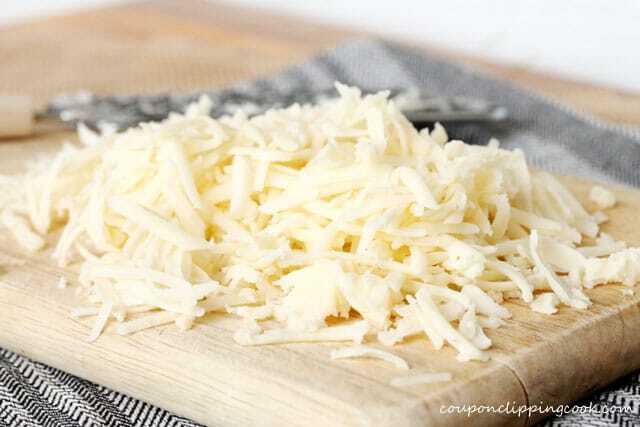 Shred the cheese and set aside for just a moment. 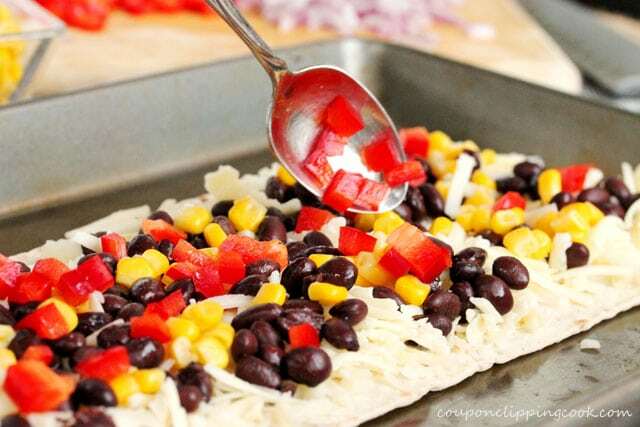 Add the pepper evenly over the toppings. Top with the bbq turkey. 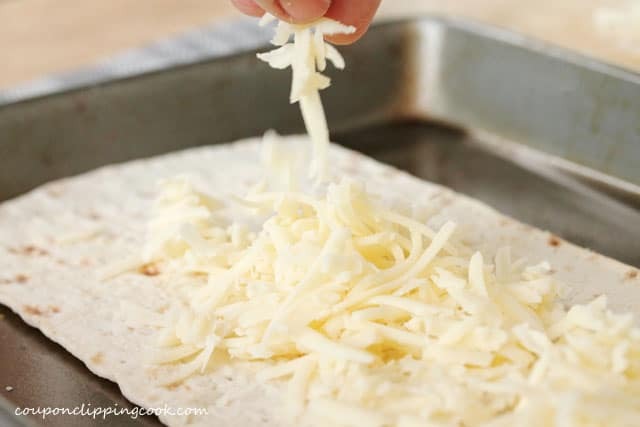 Bake in a preheated oven until the cheese melts and the edges of the flatbread start to brown (about 10 minutes). 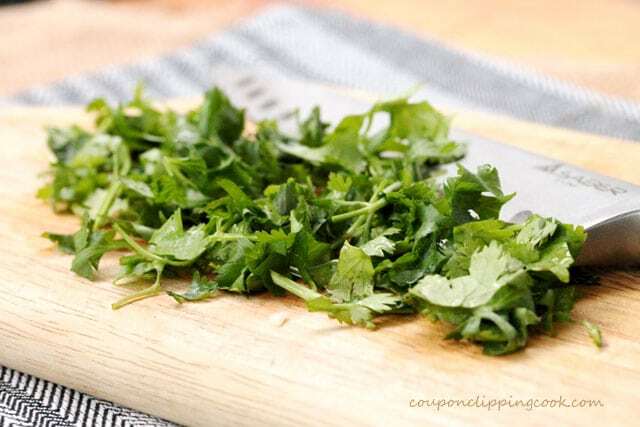 Remove from the oven and top with cilantro. 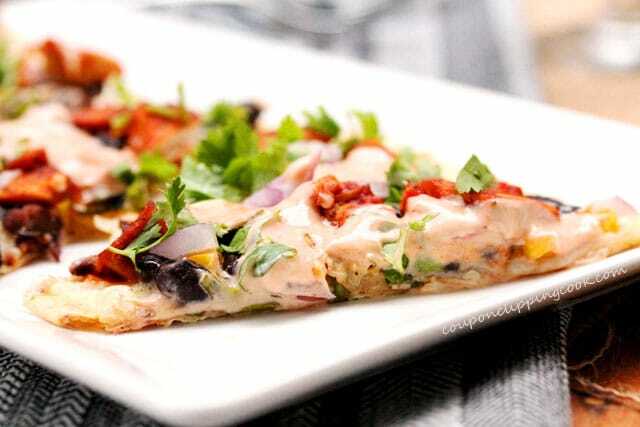 Using a pizza cutter, cut the pizza in triangular pieces. 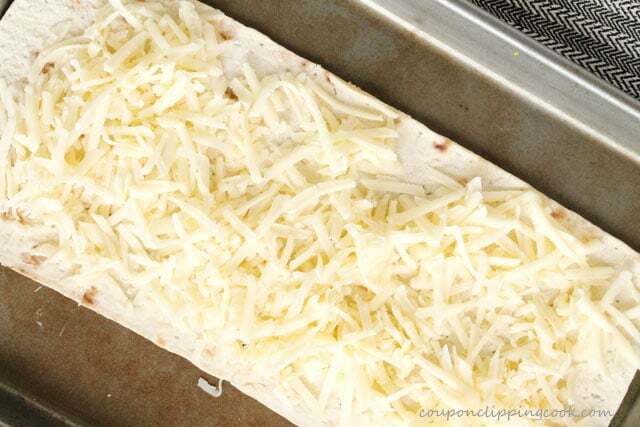 …serve while hot, and enjoy. 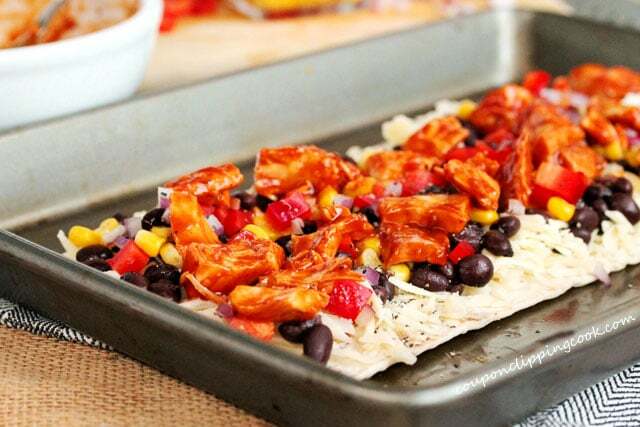 Have plans for that leftover turkey? Here's just the thing! 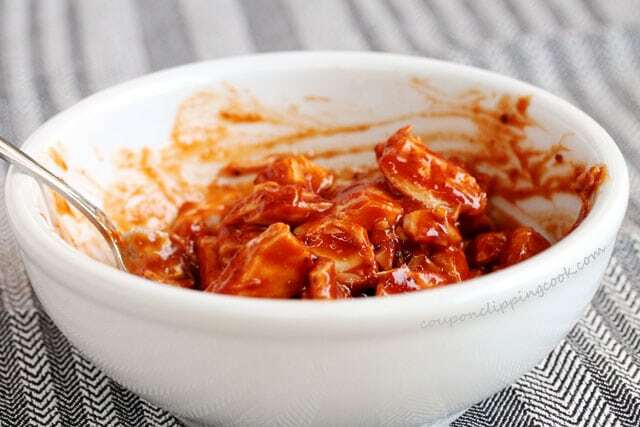 In a small bowl add the ranch dressing and bbq sauce. 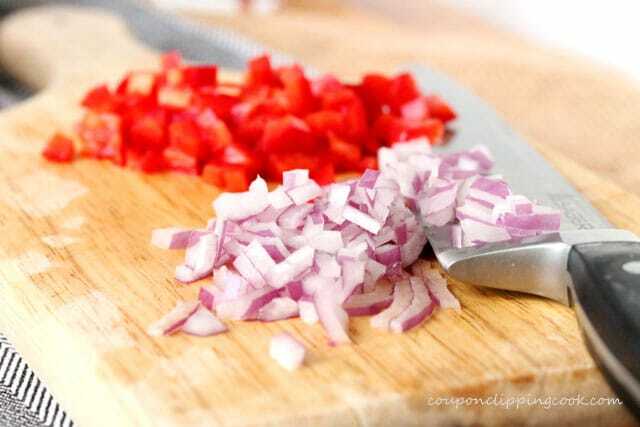 Stir together and set aside. 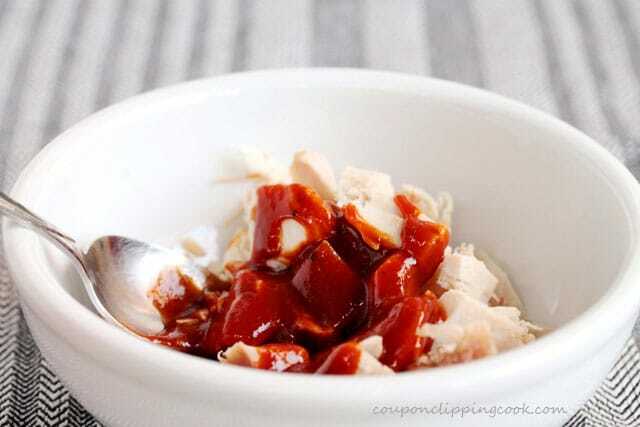 In a small bowl add the turkey and the bbq sauce, stir together and set aside. 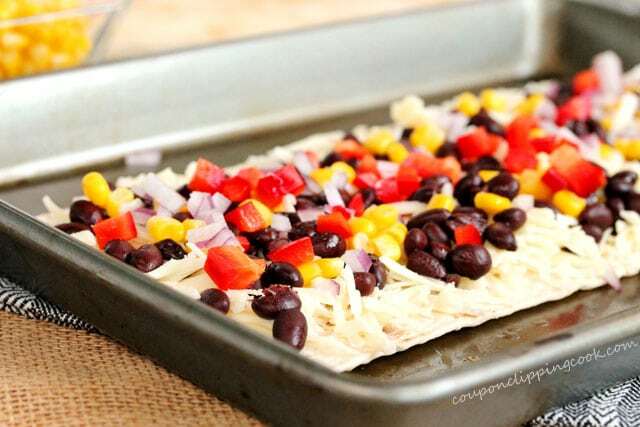 On a large cookie sheet, lay each flatbread pizza crusts. 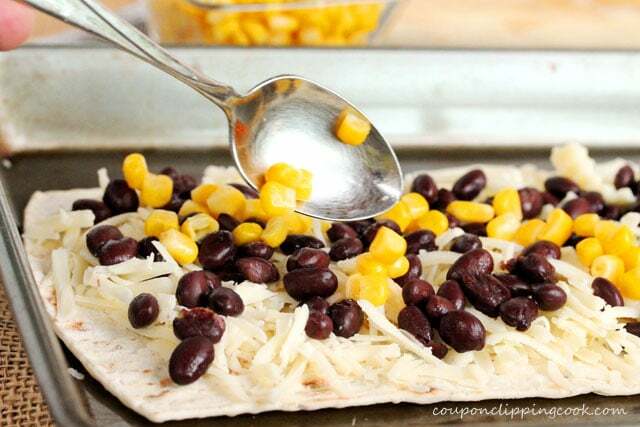 Top with the cheese, black beans, corn, red bell pepper, and onion. 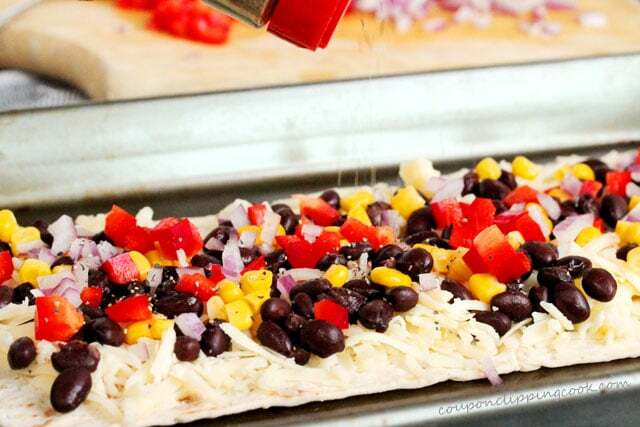 Add the pepper evenly over the toppings. Top with the bbq turkey. 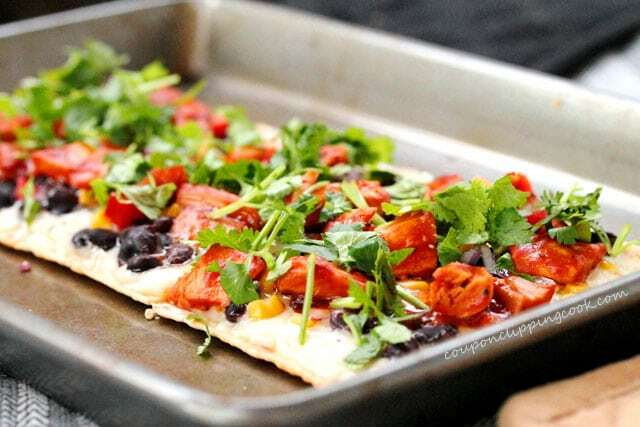 Remove from the oven and top with cilantro. 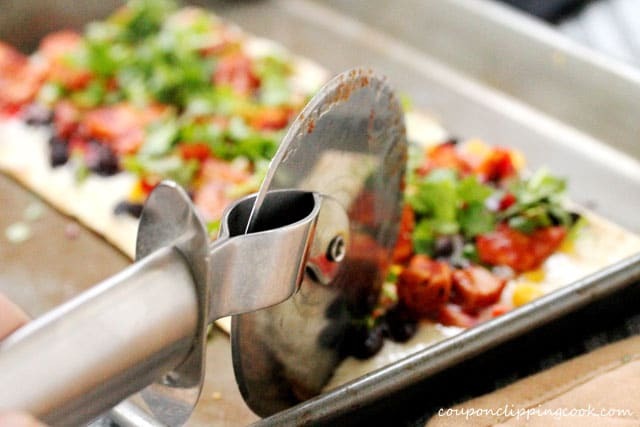 Using a pizza cutter, cut the pizza into triangular pieces. 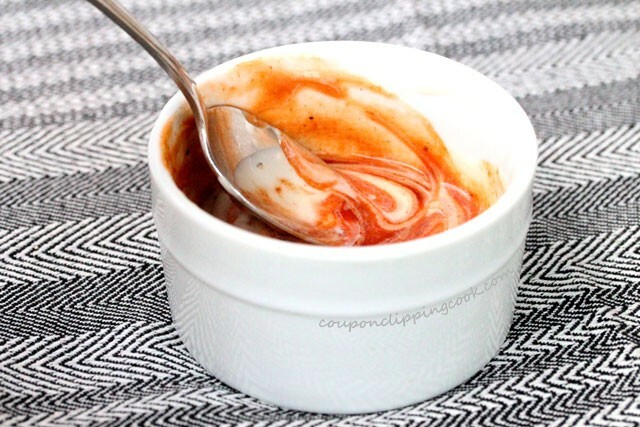 Drizzle the bbq ranch sauce on top and serve while hot. 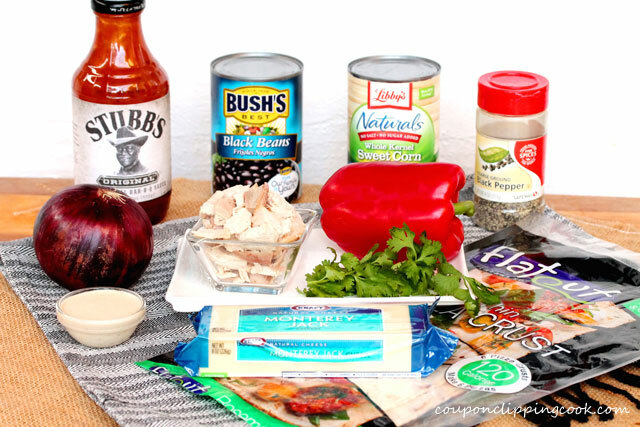 This recipe was originally posted on December 22, 2014. 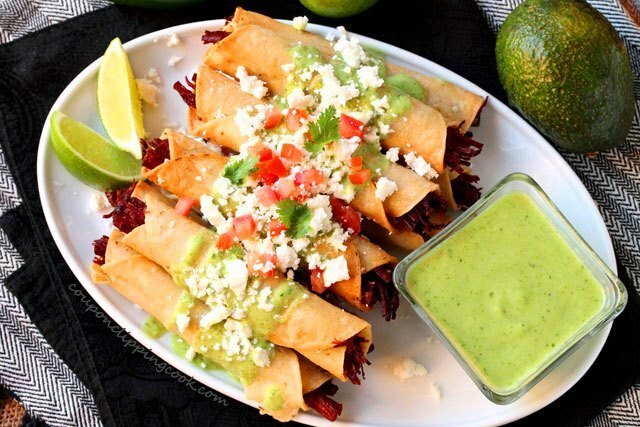 I do not love corn, but I love the fact that you think of me when you see it.! I ordered a turkey reuben sandwich in California and there was corn on it! What the heck is up with that??? Merry Christmas my friend! Hi Carole, this post was in honor of you! Merry Christmas back to you my friend!